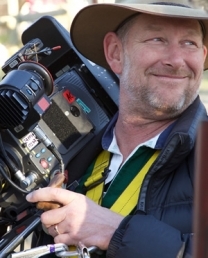 Brendan Shaw ACS began his career at ATN 7 in Sydney as an assistant News Cameraman. Brendan was soon lured by the charms and opportunities of “Aunty” ABC where he started working for the Drama Department as Clapper Loader. Over the course of his working life at the ABC Brendan worked on a wide variety of programs and in many and varied locations. 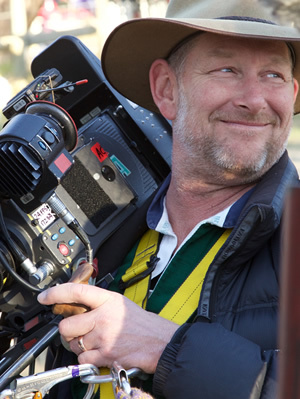 Whilst at the ABC Brendan worked with many of the Film Industry’s current and past greats. As a result of the strong mentoring culture at the ABC Brendan developed a strong sense of visual style and storytelling language. In recent years Brendan has worked on Feature Films, TV Drama, TV Commercials, Music Videos, Documentaries, Corporate Films and Web Content. Brendan’s talent, enthusiasm and work ethic ensure that clients keep coming back for more.